With their cinematic universe in constant flux and no sign of them stopping any time soon, Warner Bros. is preparing to launch an Aquaman spinoff that will be focused on the creatures featured in that film. 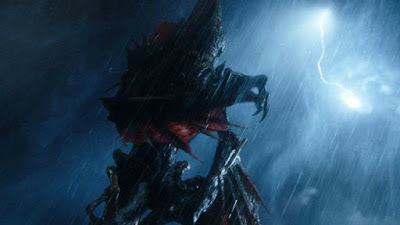 Apparently, The Trench will be a horror based tale that will center strictly on many of the CGI monsters that were introduced in the movie about the hero of Atlantis. According to reports from The Hollywood Reporter, Warner is moving ahead with a movie that will move to one of the other kingdoms and will be horror based. They've already hired Noah Gardner and Aidan Fitzgerald to write a script for the upcoming project. With Aquaman such a major success for the studio, it's really no surprise that they're looking to capitalize on the property. With a sequel in early development, its seems that they're finding new and interesting ways to adapt the DC extended universe in as many ways as possible.